You’ll gain more wins for your company and clients. World’s top pros show you how. The Facebook Ads Summit is now closed. 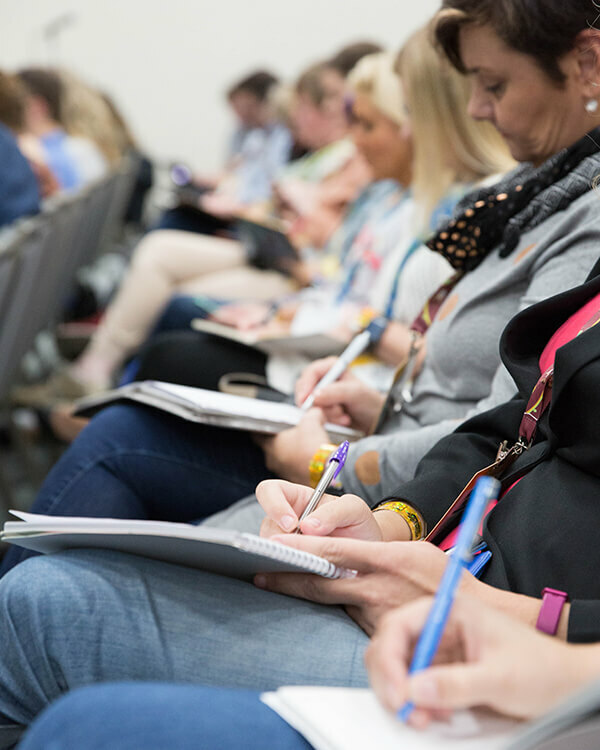 Check out Social Media Marketing World 2019, where we’ll have 15 sessions on Facebook Ads. Want to improve your Facebook ads results? If your answer is yes, you’ve come to the right place—Facebook Ads Summit 2018! If you’re seeing declines in ad reach, rising costs, or your ads aren’t converting like they used to, you’re not alone. The struggle is real. With the latest Facebook changes, we can all use extra help. You’ve likely heard that Facebook has scaled back its ads features due to privacy concerns. For example, they removed reach projections for custom audiences and will eliminate third-party targeting data (like income and purchase behaviors). 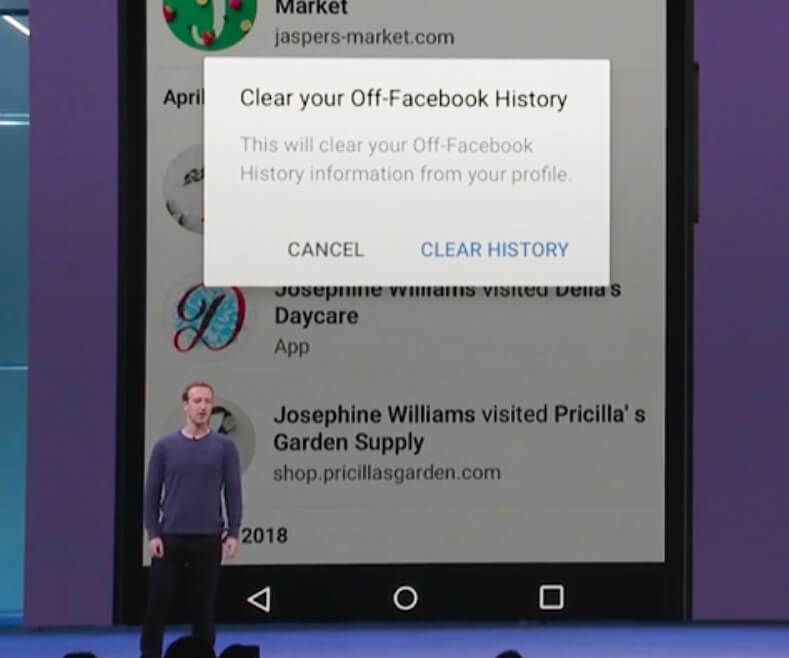 Add to this Facebook’s new “Clear History” feature, which makes it easy for people to remove their data from your website remarketing lists. And then there’s the Facebook organic reach decline. This means even more marketers will be flocking to Facebook ads. When that happens, costs will keep rising and you’ll be competing even more. Change is on the way. Whether you’re ready or not, you’re at risk. Will you be expected to deliver better results? Could your job be on the line? Soon, you can bet you’ll need to do more with Facebook ads. And that might be a scary thought. Your friends at Social Media Examiner have brought together a super team of experts—marketers who specialize in Facebook ads. And they’re here to train you. Think of them as your ad coaches. They’ll show you what works best today with Facebook ads. In one week of online training you’ll pick up skills it took these pros years to master. You’ll discover how to create compelling ads, implement innovative ad strategies, and refine your ads based on smart testing and analysis. You’ll be able to level up your Facebook advertising results. It’s your job to use Facebook to promote your products. You’re facing an uphill battle against algorithms that make your work harder. Your techniques aren’t performing as well as they used to. You’re spending more money on Facebook ads and need better results. You know you need to do something different because there are real consequences if you don’t. Let me introduce myself. I’m Michael Stelzner. I’m a marketer. I also founded Social Media Examiner and Social Media Marketing World. Bringing smart people together to tackle a big challenge is exceptionally valuable. And if the need for travel is eliminated, even better! So I assembled the largest gathering of Facebook ads experts. I personally recruited the best the industry has to offer. They’ll be coming to you “virtually,” from wherever you are in the world. These pros are all excellent communicators and are in the trenches with Facebook ads every day. It’s their core focus. Imagine immediately putting their proven techniques into practice for your company. That’s what you’ll be empowered to do when you attend our online Facebook Ads Summit. If that happened, you’d see a huge return on this investment. And that might mean better job security. 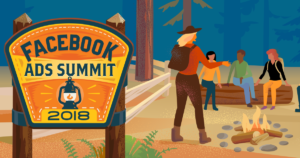 Facebook Ads Summit 2018: Your Ticket to Better Ads Results! 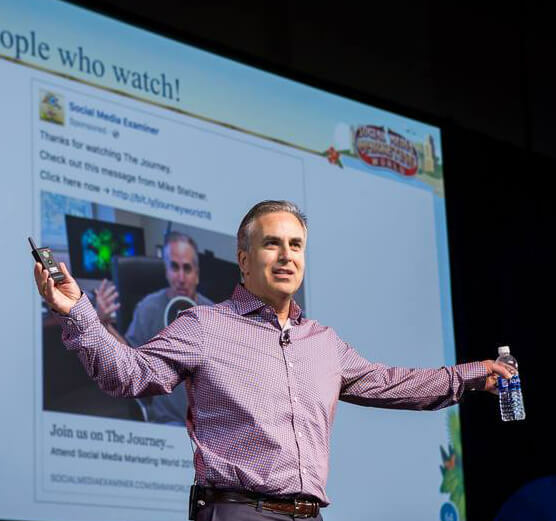 This Summit was designed for you, the social media marketing professional. If you know you need to do more with Facebook ads, this online event is for you. #1: Discover the best and newest ways to use Facebook ads: Take in practical, action-oriented Facebook ads training. The world’s leading experts show you what you need to know, all from the comfort of your home or office. #2: Reduce your trial and error time: Why take the slow road with your Facebook ads when you can fast-track your success? These experts will show you what really works so you can immediately apply it to your business. Quicker results. Less waste. #3: Improve your professional development at a low cost: Most training events cost thousands of dollars. Many require travel and lost work time while attending a physical event. Not with the Facebook Ads Summit—because it all happens online. #4: Watch sessions live OR at your own pace: All of our sessions are held online! You can attend live sessions or catch the recordings when your schedule permits. The Facebook Ads Summit focuses on three core areas of Facebook advertising: (1) crafting compelling ads, (2) implementing innovative ad strategies, and (3) testing and refining your ads. Even if just one of the above training sessions empowers you to improve conversions or sales, this investment could pay for itself many times over. Every one of these trainers has been heavily vetted by the team at Social Media Examiner. They’ve all been interviewed by Michael Stelzner (founder and CEO at Social Media Examiner). Most have trained at our events, and all are recognized Facebook ads experts because of their agency backgrounds, courses they’ve taught, and educational content they’ve produced. Rick Mulready: Rick is host of The Art of Paid Traffic podcast, a show specializing in Facebook ads for small businesses. Rick has worked with AOL, Yahoo!, Funny or Die, and Vibrant Media where he sold and managed online ad campaigns for some of the largest brands in the world. He also has many online courses focused on Facebook ads. Nicholas Kusmich: Nicholas is the author of Give: The Ultimate Guide to Using Facebook Advertising to Generate More Leads, More Clients, and Massive ROI. His agency has worked with high profile thought leaders (like Tony Robbins) to create Facebook ad campaigns that convert. He also regularly trains and teaches on Facebook ads. Dennis Yu and Logan Young: Dennis is the founder of BlitzMetrics, an agency that specializes in Facebook advertising. He’s also an internationally recognized lecturer on Facebook ads. Logan Young is his V.P. of strategy. Their clients include Rosetta Stone, the Wall Street Journal, the Golden State Warriors, and Marketo. Molly Pittman: Molly is the co-host of the Perpetual Traffic podcast, a show that specializes in Facebook ads. She’s also the former vice president of marketing for Digital Marketer. In that role she managed millions of dollars in Facebook ad spend and certified thousands of marketers in paid Facebook traffic and customer acquisition. Andrea Vahl: Andrea is co-author of Facebook Marketing All-in-One for Dummies and co-founder of Social Media Manager School. Her specialty is Facebook ads. She’s helped thousands of marketers with her training on Facebook ads. Andrea also was the community manager for Social Media Examiner. Amanda Bond: Amanda is the official Facebook ads correspondent on the Social Media Marketing Talk Show. She’s known online as The Ad Strategist. Her background is managing ads for high profile people and businesses. Now she regularly speaks and trains marketers on Facebook ads techniques. Azriel Ratz: Azriel is a data geek when it comes to Facebook ads. He’s developed a proven system that helps marketers determine which ads are their best performers. He also manages Facebook ads for clients across the globe, authored the Facebook Pixel eBook, and teaches courses on Facebook ads. Zach Spuckler: Zach is host of the Heart, Soul & Hustle podcast, a show where he helps business owners leverage Facebook ads to maximize leads, conversions, and sales. Zach also teaches courses and speaks on Facebook advertising. He is also the author of the Facebook Ads That Convert Workbook. Tommie Powers: Tommie is a Facebook ads expert who specializes in helping businesses that sell products consumers use over and over. His agency has worked with small and high-profile clients to help them rapidly scale their businesses. Tommie also teaches courses and speaks on Facebook ads. Susan Wenograd: Susan is a Facebook ads expert who specializes in Facebook ad funnels. She’s also a consultant and regular speaker on Facebook ads. She helps businesses setup funnels, manage Facebook advertising campaigns, perform paid media audits. Maxwell Finn: Max runs a Facebook ads agency called Unicorn Innovations. He’s worked with high profile marketers like Kevin Harrington and Pat Flynn. He also teaches courses and trains regularly on Facebook advertising. I think you’ll agree that this group of trainers is the largest gathering of Facebook ads pros that have ever been assembled. They’re excited to share their hard earned wisdom with you. Studies show people who further their professional development are more successful, reach their business goals faster, enjoy their work more, and earn a higher income! When you register for the Facebook Ads Summit, a unique ID and password will grant you access to all the live sessions. Live trainings will take place online daily, starting Monday, July 9th and ending Friday, July 13th, 2018. Can’t make all the live sessions? No worries. All sessions are recorded and posted the same day they occur. You simply log in, select the session you’d like to watch, and click play whenever the time is right for you. You’ll have access for the next year. You can also download session transcripts, slide decks, and audio files for further study. 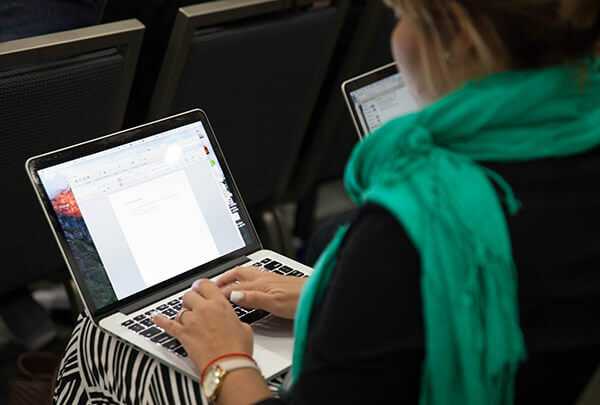 WHO: The Facebook Ads Summit is ideal for any marketer who wants to improve their ad copy, better understand the latest Facebook ads strategies, and improve their testing and analysis. The world’s top Facebook ads pros show you their proven techniques. WHAT: The Facebook Ads Summit is a live online training event from your friends at Social Media Examiner. The live trainings are converted to videos you can watch over and over. You’ll also get transcripts, slides, and audio files. WHERE: At your home, office, or on the road! You watch sessions anywhere using your computer or mobile device. WHEN: The Facebook Ads Summit starts on Monday, July 9th, 2018. It takes place daily until Friday, July 13, 2018. Sessions start at noon Pacific Daylight Time. If you cannot make a session, don’t worry because the recordings are posted the same day and you won’t miss a thing. You’ll have access to all the sessions for 12 months from your date of purchase. WHY: You’ll be able to implement effective Facebook ad strategies and tactics that’ll help improve your ad reach, conversions, and sales. Attending will ensure your business is maximizing the full potential of Facebook advertising! HOW: Simply register below. We’ll email you instructions for your exclusive access to the Facebook Ads Summit. Register and invest in yourself. You’ll see a return on your investment. You’ll be able to improve your ad results, eliminate wasteful spending, and scale your ads with the right strategies. While the live event has already taken place, the recordings are available immediately. ONLY $397! You can make a single payment of $397 or two equal payments of $199 (one now and one in 30 days). We’ve got you covered! Click here for an email template. You can try the first two days of the Facebook Ads Summit and still cancel for a full refund if you determine this event is not for you. Notify us here by Tuesday, July 10th, 2018, and your credit card will be refunded and we’ll cancel your access. Yes. For each session we’ll provide a recording you can watch online so you won’t miss a thing. You’ll receive access to recordings for 12 months from your date of purchase. At your home or office. Because this is an online event, there is no physical venue and you’ll have no travel expenses. Here are the dates and times of each session. You automatically receive session recordings and transcripts, so if you can’t make a live session, you won’t miss a thing. Yes. We’ll provide transcripts for each session. This will allow you to study and scan the content of each presentation. You simply log in to our secure attendee website and follow the instructions we provide. If you’ve already purchased your ticket, just log in here to review the schedule and agenda. If you have forgotten your password, click the “forgot password” link next to the login button. You simply log in to our secure attendee website. There you will find streaming videos you can play back from a desktop or mobile device. Downloadable transcripts, slides, and audio files also provided.